The State Bank kept the reference exchange rate for VND/USD on August 9 at the same level as the previous day, at 22,440 VND per USD. 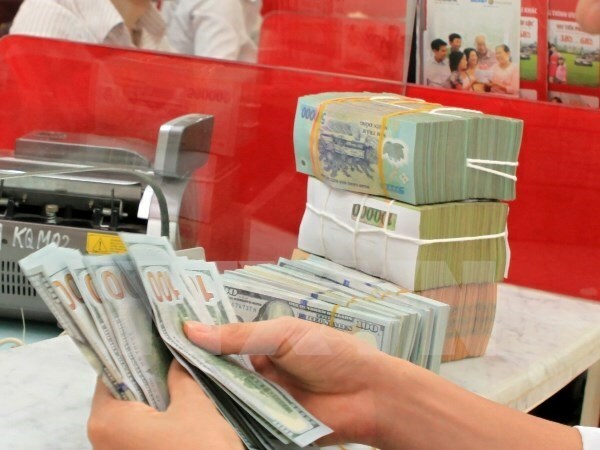 Hanoi, (VNA) – The State Bank of Vietnam kept the daily reference exchange rate for VND/USD on August 9 at the same level as the previous day, at 22,440 VND per USD. With the current trading band of +/- 3 percent, the ceiling rate applied to commercial banks during the day is 23,113 VND and the floor rate 21,767 VND per USD. The opening hour rates at commercial banks showed a declining trend compared to August 8. Vietcombank cut its buying rate by 25 VND to 22,690 VND and the selling rate by 35 VND to 22,760 VND per USD. BIDV is buying the greenback at 22,695 VND and selling at 22,765 VND, both down 5 VND from the previous day.